Growing up in Hawaii, Strong was an accomplished skateboarder. At 17, a motorcycle accident led to part of his left leg being amputated. He not only returned to skateboarding, but also decided to take up snowboard, so moved to Lake Tahoe. 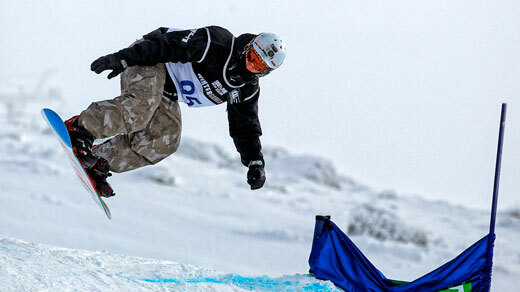 He would go on to win every title in the sport of adaptive boardercross, and is undefeated in World Cup competition. He and his wife, Mariah, now live in a yurt in Nevada City, Calif., where they own an organic vegetarian restaurant.